Maribel tells her quirky story about visiting a canyon with her absentminded father, doting mother, too cool teenage sis, and bird-brained brother Oliver. Our young journal-toting Maribel finds a magnificent mineralized rock on the ledge of the canyon but before she can own it, her brother’s sneeze launches the rock on a learning filled journey of earth science proportion. Oliver and Maribel team up in search of the rock but seem to get into one predicament after another. Will Maribel ever possess that special rock again to show her friends at school? 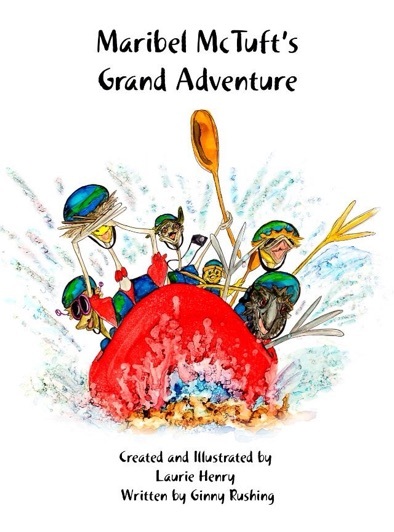 Follow this vacationing family as they bump down the canyon on the “Dog Gone Good Jeep Tours”, ride the rapids in “Quills and Thrills, Rafting Ride” and fly over the canyon in “Maverick’s Balloon Adventure!” Wait! Was that the rock? You’ll need to read this delightful book and see! Maribel’s journal pages, glossary and cross-curricular activities included!